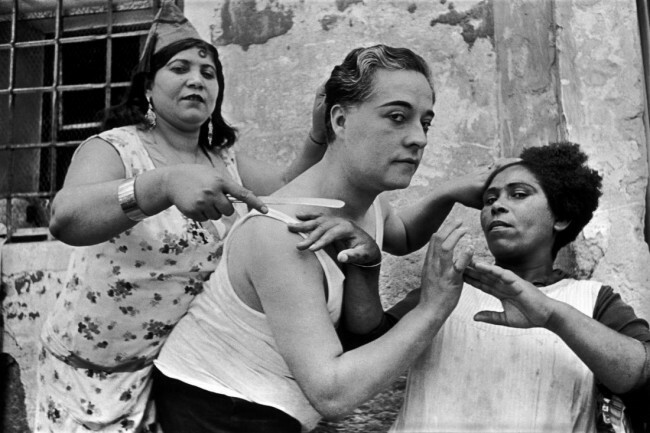 A warm birthday wish to the late Henri Cartier-Bresson, a man who has impacted my photography in countless ways. I know he's widely known and respected for myriad reasons, but the thing I take from him more than anything is that the moment trumps all. His (presumably) most famous shot is a near perfect moment in time that happens to have a pretty terrible negative...but it doesn't matter. It's too good. I'm not saying there's no point in trying for technical mastery, but he gave me the permission to stop worrying so damn much about the photo being "right". He gave me ability to allow myself to engage what's happening and be ready to act rather than missing something that moved me because I was futzing with the camera to get a perfect exposure. Anyway, I'm proud to share this day with him once a year and happy to revisit his work often.